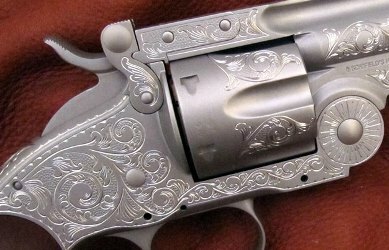 Pictured below are specific hand engraving patterns we have for our revolvers. The hand engraving is done by Jim Downing in the US. Jim does beautiful work that reflects the engraving styles of the 1800's and has a reputable name across the nation for his work. If you would like to order hand engraving on your revolver please call us at 540-722-2017 for details.